What is the Spanish NIE? It is the abbreviation for “Número de Identificación de Extranjero”, it is a tax ID for foreigners in Spain. Is issued by the Administración General del Estado (General Administration of the State) as a fiscal identification number for foreigners who want to stay more than 3 months in Spain, or in oder to be able to process certain transactions in Spain like buying a property. The equivalent of NIE for Spaniards is the NIF (Número de Identificación Fiscal). The Spanish NIE number starts with a letter, followed by seven numbers and another letter in the end. Each NIE number is dedicated to one person and it is neither transferable nor does it expire. Any foreigner who becomes resident for tax purposes in Spain needs an NIE number in Spain. Any non-resident foreigner who buys property in Spain. If a couple buys a property in Spain together, and they register the property in both their names, then both of them must obtain an NIE number in Spain. Anyone who wants to work in Spain, or start a business in Spain. Non-EU citizens: you need t0he EX-15 Solicitud de Número de Identidad de Extranjero (NIE) y Certificados which you can download here. If you are en EU citizen you should only need to fill out the EX-18, however, it is best to have both this form and the EX-15 ready and filled out as the documentation asked for can vary greatly. Likewise non-EU residents should bring both just to be safe. EU citizens you will also need the Modelo 790-012 which in 2017 MUST be filled in online, printed and brought to the appointment. You will then have to pay for the NIE at a nearby bank. Non-EU citizens will also have to pay but should be given a receipt at their appointment which you then take to a bank to pay. In PROVINCIAS DISPONIBLES choose the province do you live. You MUST bring your printed appointment confirmation with you on the day. a contract showing that you’re going to buy a property in Spain like real estate, car, etc. Where can submit my NIE application? = ¿Dónde puedo inscribirme? All you lucky EU citizens will receive your NIE immediately however, non-EU citizens will have to wait. After submitting all the documents, a photocopy of the application, a paper indicating when the card is available (keep it safe, you will need to show it to them later when you pick up your NIE card) and your passport will be returned to you. Usually after two weeks the NIE card should be available to pick up, but the process can sometimes take as long as 6 weeks. So stay patient! Who can get the NIE Spain number? Where I get my Spanish NIE number? We found the most demanded Spanish embassies and consulates here below but if you don’t find your country, here is the main site from to find any Spanish embassy or consulate in the world. Spanish consulates in France and here are the instructions written by the consulate to get the Spanish NIE in France. Spanish consulates in Belgium and here are the instructions written by the consulate to get the Spanish NIE in Belgium. Spanish consulates in Canada and here are the instructions written by the consulate to get the Spanish NIE in Canada. 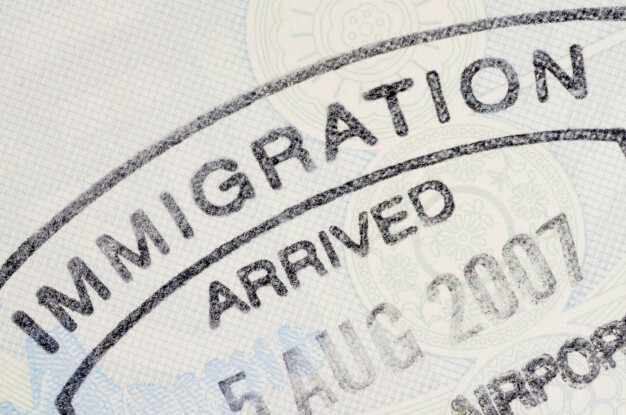 The NIE number certificate described in this article does not mean Spanish residency. This requires separate documents and procedures, although the Spanish residency card (or A4 sheet) shows your NIE number. Your NIE number is assigned permanently. Formerly, numbers were issued temporarily for three month periods in some regions, but this was stopped in 2016. You won’t be able to exchange your foreign driving licence in Spain if you only have an NIE number. You’ll have to have Spanish residency. Take your NIE number certificate with you, along with your passport, if you need to make a police report. The article is good information, easy to read and full of information what I need to know by setteling in Spain.